Gannett Fleming is an indisputable leader in global infrastructure and engineering solutions, with more than 100 years of business, 60 offices worldwide, and 2400 employees. Focusing on planning, design, technology, and construction management services, Gannett Fleming targeted Raleigh as a regional growth office and the hub of their North Carolina operations. Working with an ATR partner, Mark Gola, RCR assisted Gannett Fleming on four previous real estate transactions over the last decade to accommodate the company’s ambitious growth strategy. In this transaction, RCR presented Gannett Fleming with a competitive real estate solution that solidified its market presence and allowed for continued growth. After considering several options from Downtown Raleigh to Suburban Raleigh, Gannett Fleming chose to target the Warehouse District downtown, which would allow for a dynamic and collaborative work environment for their growing team. 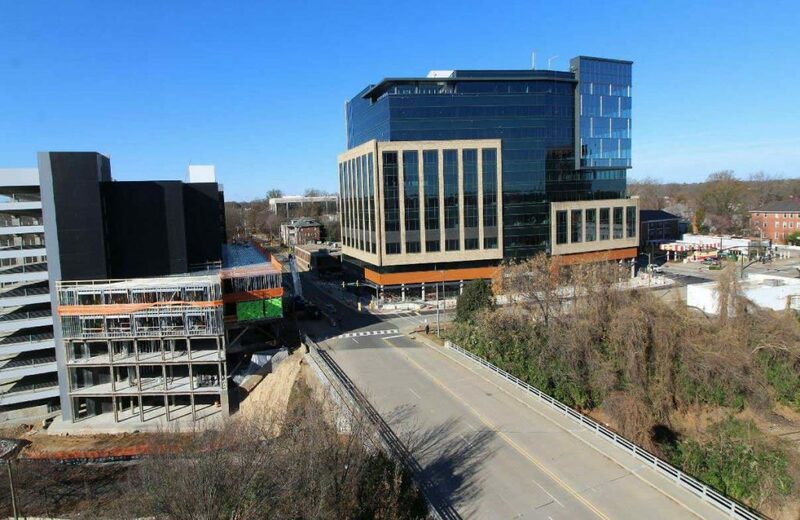 Having previous experience with the developer and the project at One Glenwood, RCR was able to negotiate highly competitive lease terms and concessions, making One Glenwood the perfect solution. Occupying 24,600 SF, Gannett Fleming now has a downtown presence and enjoys luxury building amenities, with walkable restaurants, hotels, and shopping in the exciting Warehouse and Glenwood South districts.